Got Acne on Your Back? That’s Nothing to Worry About! 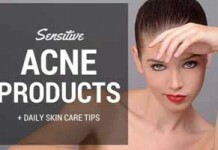 When people think of acne they generally think of teenagers with pimples on their face. But the problem is that for an awful lot of people it’s not only contained to the face. The neck, chest and back are also very common places for acne to appear. For the most part, it’s not as embarrassing as facial acne. But when it comes to summer time or even intimacy, back acne can be a total self-esteem killer. The other problem is that with clothes covering and rubbing off the skin it can be longer lasting and quite a lot more painful at times as well. 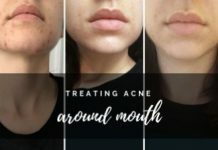 Another problem with non-facial acne is that regular treatment products will probably not work very well. You may have even tried this out, only to wonder why nothing was working. The reason is that the skin on your back and shoulders is considerably thicker than on your face. It also regenerates a lot slower than facial skin, meaning that the effects can be considerably more severe. The cause though is the same. Pores get blocked with oils and then get infected causing inflammation and pimples. Fortunately there are quite a few back acne treatment options available that are effective and once added to your hygiene routine will prove to be a valuable tool in your fight against pimples. If you’re in a rush, below are the best Back Acne Treatment, hands down! Gently and effectively remove dead skin cells. Has a good soothing smell. Best combination for a moisturized acne free skin. 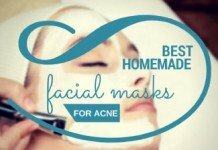 Helps diminish the acne scars. Refreshing organic tea tree oil smell. What Makes an Effective Acne Treatment? Should You Treat Your Back Acne at Home? Although, the same phenomenon of clogged pores causes back acne, there are other factors that might contribute. A pimple forms when extra sebum and dead skin cells build up inside your skin pores. This also locks bacteria in it which causes the hair follicles to swell and form a whitehead. A blackhead forms once the blocked pores are exposed to air. In addition to this, following are the factors that lead to bacne. Let’s have a look. Genetics: If you have someone in your family who suffers from bacne, your chances of getting it increase as well. 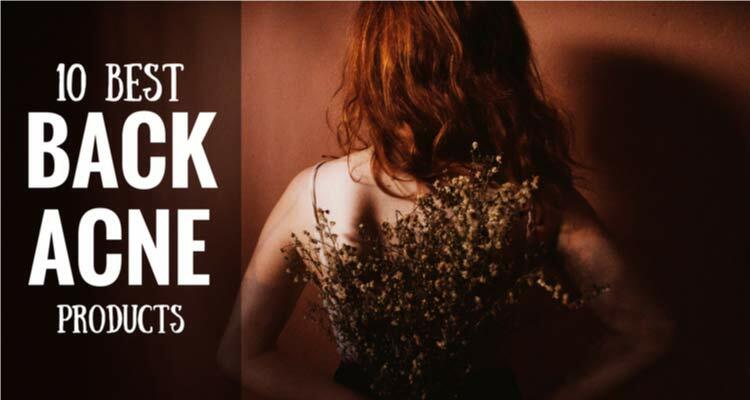 According to scientific research, the chance of you getting bacne increases four times if a first degree relative suffers from it. Hormones: Hormonal changes during adolescence also create a hormonal rage that leads to acne. Furthermore, women tend to face hormonal changes throughout their life at the time of menstruation and pregnancy, so, they also face back acne at certain phase of their lifetime. Medications: Some medications tend to cause acne. These medications are usually anti-depressants as they lower the stress hormone. Stress: Stress increases cortisol levels in your body and promotes the production of androgen hormones. 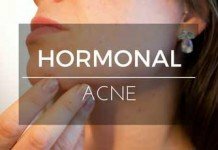 Excess androgen hormones trigger oil glands to produce more sebum which in turn leads to acne. Excessive Sweating: Excess sweat if not washed off makes acne worse, especially if it is trapped in tight clothing. Unbalanced diet: A diet rich in carbohydrates can lead to acne. This is because they have a tendency to increase your blood sugar levels. 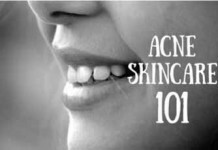 Acne is formed when the pores/hair follicles of your skin get clogged with dead skin cells or oil. So, the only place where you cannot get acne is palms of your hands and feet. Because these are the only areas of your skin where there are no sebaceous glands (the parts of skin dermis where hair follicles, oil, and sebum are produced and where the development of acne starts). The best acne treatment products aim at fighting acne right from this deep breeding ground (sebaceous glands). 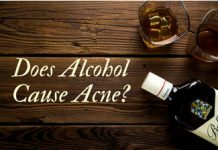 They utilize proven anti-acne ingredients such as salicylic acid (contains excellent pore opening properties), benzoyl peroxide (fights acne causing bacteria, P.acnes), and others to destroy acne from its roots. Over-the-Counter is a medical jargon for any treatment that you can buy without providing a prescription. There are certain products that help clear moderate back acne. We have discussed each treatment below. This serves as an emollient foam wash that helps in killing acne-causing bacteria, Propionibacterium Acnes. If you use it daily you can control back acne. According to scientific studies, to get effective results from benzoyl peroxide you should leave it on your back for around 2 – 5 minutes before washing it off. Since the skin on your back is way thicker than the skin on your face, letting the formula stay helps in penetrating the medicine into your skin. Rinsing the formula off your skin saves your clothes from getting bleached. Benzoyl peroxide has the ability to bleach out fabric. Benzoyl peroxide products are available in different concentrations. If you have dry or sensitive skin, you should not use a product that contains 5.3% or more concentration. This way you can prevent your skin from getting irritated, flaky or dry. On the contrary, if you have an oily skin and you think you need a stringer concentration, then you can use 10% Benzoyl peroxide strength. This is the strongest concentration that you can buy without a prescription. 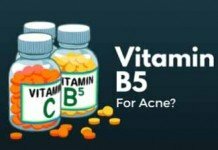 Retinoid is a Vitamin A derivative and is the strongest of all other Vitamin A derivatives. 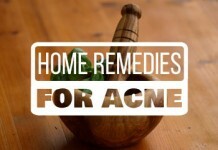 It has long been used for the treatment of acne. Retinoids basically helps in unclogging pores which leads to a reduction in flareups. Using adapalene gel along with Benzoyl peroxide can really give you faster results. Dermatologist recommend applying adapalene overnight or after takin shower as adapalene might decompose in sunlight. Moreover, you should apply it daily. Adding a medicated lotion that contains Salicylic acid to your skin care routine works wonders if cleansers are not working enough. Salicylic acid functions best for bumps and blackheads as it stimulates shedding of dead skin cells. This helps in detoxifying pores and hence controls blemishes. Apply a salicylic lotion once or twice a day, whatever your skin tolerates well. Sprays are a great idea for those hard-to-reach places on your back. Typically, salicylic acid is present in 0.5% to 5% concentration. For adults the right concentration is 1 – 2 %. And it should be used daily. Glycolic acid and lactic acids are the examples of alpha hydroxy acids. Alpha hydroxy acids have strong exfoliating abilities. They accelerate the cell turnover process, which rapidly reduces the number of blocked pores. Whether you should be treating your bacne at home or not is a serious question. It depends on how severe your back acne is and is it advisable to carry out treatment at home all by yourself. To ease this question, we have simply created a checklist. And if you fulfill any of those, then you qualify to be treating yourself at home with the help of an over-the-counter treatment. Have developed a few pimples on your back that is considered to be mild bacne. Have a small number of blemishes that also include whiteheads and blackheads. Plus, that can be counted as moderate acne and is not painful at all. In case you have deep bumps or inflamed cysts on your back that are painful, you should consult dermatologist for proper treatment. Do you believe that using OTC treatments to get rid of back acne is enough? If so, you are seriously mistaken. 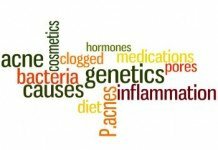 To clear your misconception, we included this section in our post which will guide you on how to make some necessary lifestyle changes that will help you eradicate bacne quickly. You should immediately take shower after a workout. During exercise, you sweat a lot due to perspiration. If you do not shower afterwards, the sweat and dirt will sit on your skin and clog your pores resulting in bacne. Apart from this, wash out your track suit once you are done with a gym session. And always wear a new one next time. Exfoliation should be a vital part of your skincare regimen. Use exfoliating scrubs with salicylic acid or any alpha hydroxy acid to maximize the cleansing effect. When you will regularly cleanse your skin, the chances of your pores getting clogged will be minimized to a great extent. Wearing fitted clothes does not let your skin breathe and traps dirt and oil to your skin. This irritates your back. Plus, tight clothing also rubs against your back which aggravates acne. 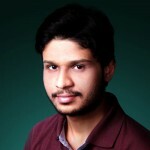 Therefore, wear baggy clothes often and try to wear cotton fabric as it lets your skin breathe. Tea tree oil has been proven really effective in combating acne. It has been originated from Australia and treats variety of skin conditions. Nowadays, there are several products in the market that have been formulated using tea tree oil. Furthermore, tea tree oil also holds the tendency to kill acne bacteria. 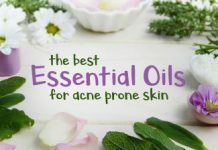 Hence, you should make any product that contains tea tree oil a part of your skincare routine. It can be cleanser, lotion or cream. Protecting your skin from sun damage is really important especially if you expose your bare back. Choose a non-comedogenic sunscreen that doesn’t clog pores. Sunscreens can be greasy so you need to be careful. According to research, foods that have a high glycemic index may worsen your acne. Foods that have high glycemic index causes your blood sugar levels to rise quickly. These foods include white breads, white pasta and rice and white potatoes. You should include a lot of fruits, vegetables, lean proteins and grain in your diet. They will help your skin in toxification. Long hairs brushing against your back might be adding oil and dirt to your skin. This aggravates acne. Keep your hair as tidy as you can and keep them clipped or in a bun. Don’t let shampoo or conditioner run down your back. 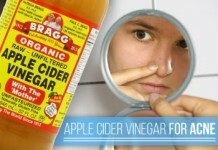 Any ingredients present in them might contribute in clogging your pores or irritating your skin. Resist any temptation to pick and pop your back pimples. This will only make your pimples infected with bacteria and will also irritate your bacne. To clear your back acne, you need to be very specific about cleanliness and hygiene. Wash or change your pillowcases and sheets every week. While tossing and turning during sleep you rub yourself often against them. Use a fragrance-free detergent for washing them, as they might cause irritation to you. Also, avoid using a fabric conditioner as they have a strong scent added to them. While on an over-the-counter treatment you need to be patient to see the results. If treatment works, it might take 6-8 weeks to achieve great improvement. Complete clearing of bacne might take three to four months. However, if you feel no difference even after 6-8 weeks then you must seek dermatologist’s advice. He or she will better evaluate your condition and provide treatment accordingly. I don’t need to get extremely technical in explaining you why your back acne products have to be different. Skin of your back, neck, or shoulders is not the same as that of your face. It is thicker, and acne formed on these areas is usually more resistant than it is on your face. In short, treatments for back acne utilize stronger acne medications to effectively clear the skin. 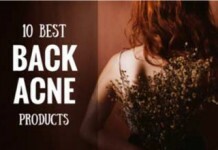 The following products have been proven to yield best results for back acne treatment time and again. We’ve already done the hard work of researching about their major upsides/downsides, skin suitability, and specific directions. 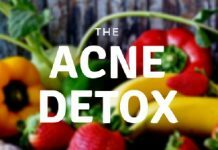 Now you just need to cherry pick the one you find most suitable for your skin type, and start getting rid of your back acne today. Misumi’s Blemish Clear Body Wash is a powerful and well-rounded treatment for bacne as well as acne on arms, neck, and chest. This medicated body wash uses the highest quality ingredients to deeply penetrate the skin in order to remove dirt, sweat, excess sebum and impurities that clog up pores and cause acne. 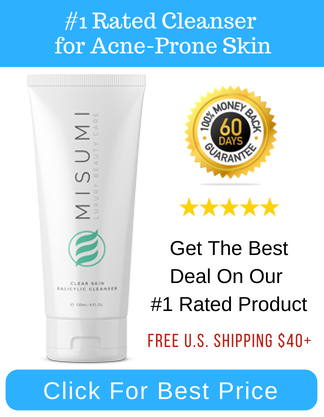 What is unique about Misumi’s body wash is the precisely formulated fusion of three essential acne-fighting and anti-aging ingredients: Salicylic Acid, Glycolic Acid, and Lactic Acid. Glycolic Acid is one of the most powerful ingredients for exfoliating and removing oil, sweat, and impurities that clog up pores. Salicylic Acid fights acne and reduces redness and swelling. Lactic Acid prevents severe acne scars, and stimulates collagen-building which helps to reduce saggy skin and fine lines. The body wash is concentrated enough to effectively clear skin blemishes and gentle enough not to overly dry your skin like most Benzoyl Peroxide products. It’s everything we want to combat bacne in one ground-breaking formula. Anti-inflammatory. Helps to reduce inflammation and redness of the skin. Guilt Free: Paraben-free. Cruelty-free. No animal testing. Gently massage Misumi Blemish Clear Body Wash onto your back and other affected body areas during shower. Rinse well and repeat daily. The main component of Exposed Body Acne Kit is its body wash that contains salicylic acid, glycolic acid and tea tree oil. This unique formulation allows the wash to penetrate deep into your pores, exfoliate dead skin cells, excess oil, and dirt, and make your skin clearer and smoother over time. The accompanying Derm-X cloth in this kit is a polyamide microfiber that is especially designed to gently and effectively remove dead skin cells, oil, dirt, or makeup from your skin, without causing irritation. Works for all skin types, including dry and sensitive skin. Like all other products from Exposed Skin Care, this Body Acne Kit comes with a full 30-day money back guarantee. If you don’t see in changes in your back acne in 30 days, you can fill out this form and get a full refund of your money. The kit can cost a bit more than most individual body washes you can buy. Salicylic acid + benzoyl peroxide combination doesn’t suite everyone. Body wash can be used in the shower. Gently massage over your back (use handled sponge if you find it easy). After rinsing body wash off, wet your derm-X cloth and gently massage it over your back (or make someone do it for you). Make sure not to rub it hard on your back. Acne Treatment serum is used to take the treatment one step further. You can apply it liberally over acne prone areas of your back and leave overnight. You can do this during the day also. But figure out what works best for you. You can repeat this process 3-4 times a week. Additionally, this detailed official guide on Exposed Body Acne Kit will help you further in using it at its best. 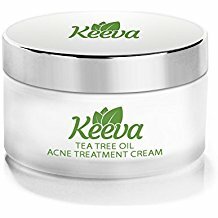 Keeva tea tree oil acne treatment cream doesn’t harm or dry your skin like other acne treatments thanks to its main ingredients being organic tea tree oil and salicylic acid. Organic tea tree oil & salicylic acid are the best combination for a moisturized acne free skin. As a great bonus this treatment also includes Hyaluronic Acid that helps diminish acne scars for a clearer & smoother skin. Works for Face, back, chest and neck acne. Leaves for skin moisturized, so no issues for excessive dryness and irritation. Free from parabens or sulfates. It’s a rather small cream Jar you might need to buy several to complete a back acne treatment. Made with natural organic ingredients, if you suffer from allergies you might want to take a look first at the ingredients labeled. After cleansing your face Apply Keeva tea tree oil acne treatment cream directly to your pimples and acne spots on the back. Repeat daily for maximum results. Christina Moss Natural Organic Body Soap is chemical-free, all natural and organic solution for your charming skin. An organic ingredients-based product, 100% free from chemicals. No SLS, SLES, parabens, PG or PG derivatives, sulfates, dyes, synthetic fragrance or anesthetizing agents. Ensures that dead skin cells are completely wiped out of your pores to leave your skin refreshingly nourished. Works as a body and facial soap alike, but be sure to keep it off sensitive areas of your body. Can produce stinging sensation on your skin. It may help in fading the acne but doesn’t guarantee to prevent breakouts in future. Use it under the shower at least 3 times a week. Make sure to leave it on your skin for 2-3 minutes before washing off. What? Charcoal on your delicate skin? Well, contrary to your intuitive thought, charcoal has been proven to possess some excellent pore opening properties. That’s why this Pore Penetrating Charcoal Bar from Biore has resulted in some excellent feedback from people using it to treat acne on their backs. A natural ingredients-based product (though, it’s not 100% free from chemicals). Presence of jojoba beads ensure that dead skin cells are completely wiped out of your pores. Contains peppermint oil that leaves your skin refreshingly nourished. You can also use it as your facial soap, but be sure to keep it off your t-area. Good at removing makeup from your face, thanks to the presence of exfoliating charcoal. Leaves your skin with a “tingly” sensation, which you may not admire. For back acne treatment, use it under the shower at least 3 times a week. Make sure to leave it on your skin for 2-3 minutes before washing off. If you’re using it as a facial cleanser, make sure to avoid contact with your eyes. These Clearzone body pads have been carefully developed for the treatment of acne on face and specially, your body. The most prominent ingredient in these pads is salicylic acid, which proven to fight acne by clearing your skin pores of oil, dead skin, and dirt. The presence of glycolic acid ensures that your skin gets smoother and healthier over time. Active ingredients are included in proportions that are just enough for fighting acne effectively, without the expense of over dryness. Contains green tea extracts and witch hazel, which are both time-tested moisturizing botanicals. Helps minimizing existing back acne and prevents further acne from developing. Can be over drying and itchy for sensitive skin. Doesn’t being instant results (unlike Exposed Body Kit with a 30-day guarantee). Cleanse your skin before applying Proactiv Clearzone Pads. Now, gently wipe your back (or any other affected areas of your body) with pads. Use a clean wash cloth to further wipe out the remaining oil, dirt from your skin. Do not use it on your face or it will dry the hell out of it. People have been raving over Africans soaps over the past couple of years, and not for any unjust reasons. The unique, natural formation of these soaps has got people’s likings from all over the world, and their major usage is not only limited to Africa now. Doesn’t just work for back acne, but you can also use it as your regular skin cleanser. Lathers nicely in your hands. Removes makeup easily from your skin. Free from fragrance and harsh chemicals. Even helps people with eczema. Not as gentle as you might expect. Can dry out and even burn sensitive skin. So, use with care. It is soft, and has some hard bits and bobs in it (being a raw, African soap), which aren’t super convenient and might cause irritation. Do not apply this African black soap directly on your back. Lather up nicely with a sponge or loofah and then apply it on your back. This specially formulated body wash from Humane utilizes maximum strength benzoyl peroxide (10%) acne medication that penetrates deep into your skin, and fights acne bacteria to banish acne on your back right where it starts. Manufactured and process in USA (no imported formations). Does not contain artificial fragrance, and it’s also free from parabens. Won’t just fight your back acne, but can also help minimizing your acne scars. Comes with a convenient pump at the top, which makes it easy to use bit sized amount of this wash for each application – hence, one bottle goes a long way. Can’t be used as a facial cleanser for people having sensitive skin. Can be problematic for you if you’re allergic to benzoyl peroxide. You have to thoroughly wash it off your back or it will leave a thin film on your skin. Use at least once a day in shower for effective back acne treatment. Can be used twice a day (AM and PM) for maximum results. Keep off your clothes as benzoyl peroxide can bleach them. You can use this 360° acne treatment spray from Murad to fight acne wherever it occurs. It utilizes salicylic acid in its most gentle (0.5%) concentration to make sure that your skin pores are effectively penetrated and are made completely free of dead skin cells, excess oil, and dirt. The triclosan and salicylic acid duo is especially formulated to fight acne causing bacteria, as well as open your clogged skin pores. This ensures that you don’t just get rid of your existing acne, but also prevent future breakouts. Contains skin conditioners that help keep your skin hydrated. The 360° tagline literally means that you can spray it from any angle (even upside down), which makes it very convenience to target even the most hard-to-reach areas of your skin. Works well for teen acne and adult acne alike. Can turn out to be expensive for regular use. Requires continuous usage to obtain and maintain clear skin. For back acne treatment, use it right after taking the shower. Spray it liberally over acne prone areas on your back. Although, 3 applications daily are recommended for maximum impact, you should really start with one application daily (due to probable dryness), and then gradually increase frequency. 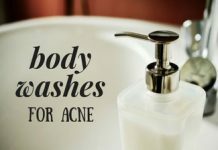 Body acne does very well at affecting your self-esteem and body image. And this Botanical Body Soap from Mario Madescu does even better at keeping your back acne at bay. One of the very few back acne products on the market that utilize natural formulations for keeping your skin clear and healthy. Utilizes grapefruit and papaya to exfoliate dead skin cells, excess oil, and dirt off your skin. Presence of ginseng promotes skin rejuvenation, whereas oat protein soothes sensitive skin areas and prevents irritation. The natural herbal/fruity smell is a major upside for many, not sure if that’s true for you? ???? Can even help getting rid of skin tags. Alpha Hydroxy Acids (AHAs) aren’t suitable for all skin types. 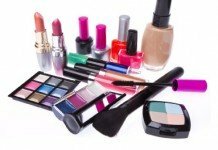 So, make sure you’re not allergic to any of these before buying this product. It can even make your skin burn if it is too sensitive. Can be used daily on all areas of your body (specially recommended for acne on chest and back). You can use a mesh sponge or washcloth to apply it over your back. If it causes extreme dryness, you can apply a good quality lotion on your skin. Derma Topix has maintained a good reputation in the skincare industry with their successive lines of effective anti-aging and acne treatment products. This maximum strength benzoyl peroxide (10%) wash is developed to penetrate deep into the skin, fight acne causing bacteria, and remove dead skin and excess oil. It also keeps your skin smooth and nourish (thanks to the presence of aloe vera extracts). Specially formulated with strong medication to fight stubborn acne on your back, chest, and shoulders (can also be used as a facial cleanser, but with caution). Can bring positive results in short span of time – most users didn’t have to wait for months to clear their skin. 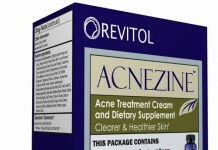 Has been proven to work well for adults suffering from acne. 10% benzoyl peroxide treatment is often harsh on sensitive skins – bringing nuisances like burning, dryness, or itching. Contains fragrance, which isn’t too strong. Use in a warm shower. Gently message over acne product areas on your back. Allow it to penetrate your skin for 2-3 minutes, and then rinse it off. If it dries out your skin, you can use a good quality body lotion to cover that up. If you want to take advantage of maximum strength benzoyl peroxide treatment in the feel of a convenient foaming wash, this product from PanOxyl should be your way to go. The strong 10% concentration of anti-acne active ingredients always has its upsides and downsides. However, based on overall sales stats across different states, PanOxyl Foaming Wash is rated #1 consumed product in drug class of trade/drug stores in the US. High concentration acne medication is proven to be effective against back acne treatment, and can fight even severe forms of acne. All dermatologist recommended ingredients are used. A great deal if you’re looking for an economical option. Can cause excessive dryness or irritation. If used without care, benzoyl peroxide can stain/bleach your clothes before you can notice. Apply on a cleansed skin (for back acne, use it under the shower). Massage liberally on your back and leave it on for 2-3 minutes. Keep it far away from your eyes. This medicated spray from glytone uses a potent formula that features deep clearing of the pores and prevention of new acne blemishes on shoulders, chest, and the back. This complexion-clearing spray contains salicylic acid (2%) to clear away dead skin cells and open your clogged skin pores. One of the best back acne treatments containing salicylic acid as an active ingredient. 360° spray nozzle of Glytone Back Acne Spray allows you to apply medication from any angle to hard to reach body areas. Proven to work against stubborn acne on your back. Due to the efficiency of a spray, this product goes a long way and turns out to be a good value for your buck. Capable of improving your back acne condition in a short period of time. Whether you’re a high school teenager, work at home mom, or a professional, this product can help banish acne on your back. Strong fragrance smells almost like pure alcohol. It’s so potent that you’ll have to hold your breath when spaying it, else you’ll catch cough or find trouble taking your breath. Can leave your skin dried out. If extremely bothersome, you’ll have to use a body lotion afterwards. Smell is a big issue with this product. And it’s worth mentioning again. Do not buy it if you can’t bear strong clinical smells. Spray directly on your back, preferably after taking a bath. Let it try on your back before putting clothes on. Works best with 2-3 applications daily. But start off with 1 application per day and then gradually increase. What is the best back acne treatment product you’ve ever used? Planning to use any one of these products and have more questions? I’d love to hear what you have to say in the comments below! I think you’re talking about OMERA-H3? Well, as for any multi-vitamin supplement, it’s important to see doctor and let them decide if your body needs it or not, or whether there’s a better solution. 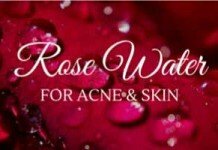 The products listed here work really well for body acne, you might want to try them. But for the pills, please see a doctor.